Buoyed by fall's cool, crisp air, cornflower blue skies and changing palette on the trees, you're no doubt already developing new outdoor pursuits. But there's one activity that you may not have considered: hang gliding. Maybe the idea of being suspended 2,000-4,000 feet above the ground with only a metal frame, some sailcloth and a bit of webbing for a harness sounds suitable only for the completely deranged. 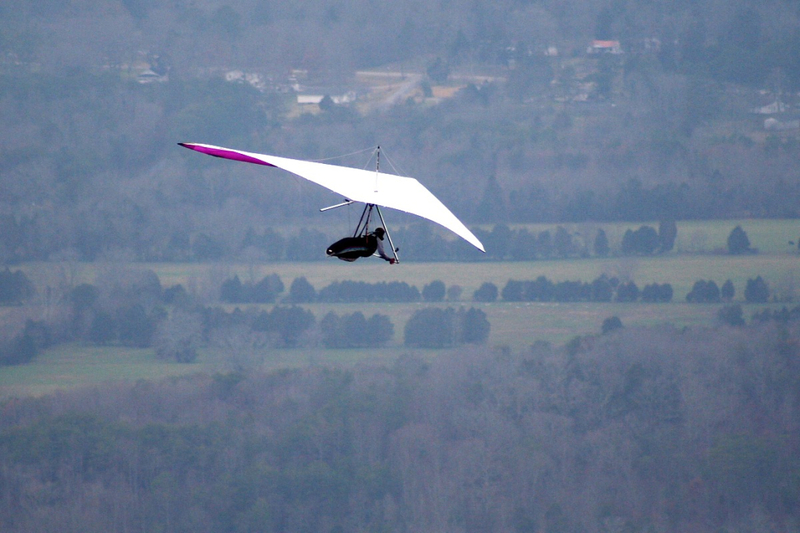 But if you've ever had even the slightest inkling to try hang gliding, there's really no better place in the world to do it than Chattanooga. 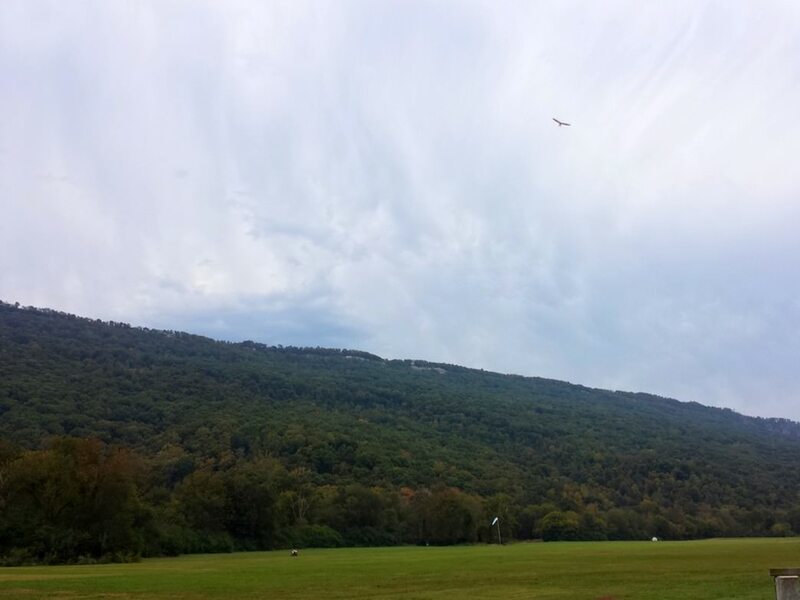 Not only are the surrounding mountains, and their prevalent thermals, ideal for soaring, but Lookout Mountain is also home to the largest hang gliding school in the country. It's a place where total beginners and expert fliers alike gather and partake in one of humankind's longest held obsessions: the art of flight. 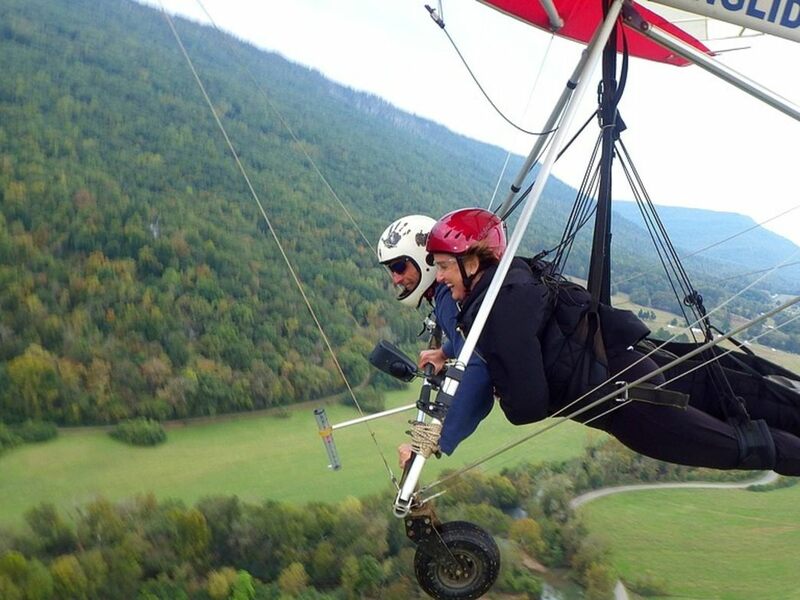 Unlike skydiving or bungee jumping, where adrenaline junkies are simply free falling, hang gliding allows you to actually soar with the birds. And despite being thousands of feet in the air and only a few straps and carabiners away from certain death, it's actually a very meditative, peaceful and soul-enriching experience. As you stand on the ledge of the runway ramp, with the glider's aluminum frame resting on your shoulders, waiting for the instructor's word to run and jump, you have that gut-wrenching feeling similar to when you're about to jump off a cliff into a pool of water. Except here, you don't fall. (Okay, maybe you drop a few feet). But then the wind catches the glider's wings, lifting you into the sky, and then you're flying. And it's unlike anything you could imagine. At first, it's utterly exhilarating and you have to remind yourself to breathe. Gradually, as you become accustomed to the sensation, you begin to take it all in. The total silence, aside from the whistling wind. The weightlessness. The solitude. The scenery. Ten minutes later, you land in a grassy field in Trenton, Georgia. Lookout Mountain Flight Park offers a wide range of packages, all of which include aero-towed tandem flights with an expert pilot. For some, a tandem flight is enough — offering an unforgettable taste that satisfies that urge to fly. But for others, it's just the beginning. Most flight training packages include practice flights on the bunny hills just outside of Trenton. Here, you're given a special rig with training wheels, and an instructor teaches you the basics before you take practice flights on your own. Some of these flights will be inevitably ugly, often resulting in overcorrecting, stalling and nose-diving into the grassy field below. These initial horror-show flights can be pretty painful at times (especially for males landing on their, er, pelvic regions), but it doesn't take long to work out the quirks and flaws. And flying solo is an incredible experience, even if you only make it ten feet off the ground. After you've mastered a few flights on the 65-foot bunny hill, the 125-foot hill is next. Once you prove you have the requisite handling skills, including conquering turns and landings (the hardest part), you're cleared for the mountain itself. From here, the sky is literally the limit. You can let those handful of solo flights live long in the memory, or you can become a licensed pilot, purchase a glider, learn how to catch thermals, stay in the air for hours at a time, and make hang gliding a lifelong hobby. Late autumn and early spring are the perfect times to get started. 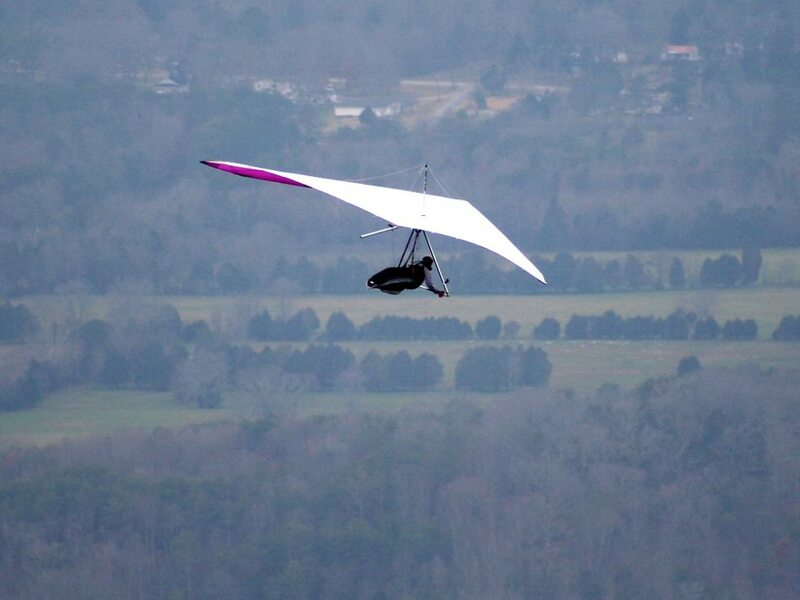 Even with the chilly temps that make assembling a glider painful on the fingers, you'll have the bunny slopes all to yourself, meaning you can knock out your practice flights without having to wait around for others. Which, in turn, means you'll be actually flying in no time. The holidays are on the horizon, too -- an ideal time to give (or ask for) the gift of flight via a training package. We can't think of a cooler way to soar into 2015.